Extra emergency shelter spaces are being added across Metro Vancouver as temperatures threaten to drop Saturday night and stay cold until Monday. Environment Canada has issued a special weather statement for cities across southern B.C. The system that dumped rain and snow on the Lower Mainland Saturday morning has since moved on to the Interior, but another system is waiting in the wings. "We have an arctic air mass that's poised to come down from the north," said Environment Canada forecaster Greg Pearce. "That'll bring us maybe some flurries … and temperatures will really drop off." That arctic air mass is expected to roll through Vancouver at around 10 p.m. Saturday. Even colder air will come in Sunday and Monday, with temperatures in the city expected to hover between -7 and -5 degrees. Jeremy Hunka with the Union Gospel Mission knows just how dangerous cold weather like that can be for people sleeping on Metro Vancouver's streets. "It's a matter of life and death for a lot of people," he said. "We need to get as many people inside as possible to avoid a tragedy." Mike McIntyre has been homeless in Vancouver for the past four years. 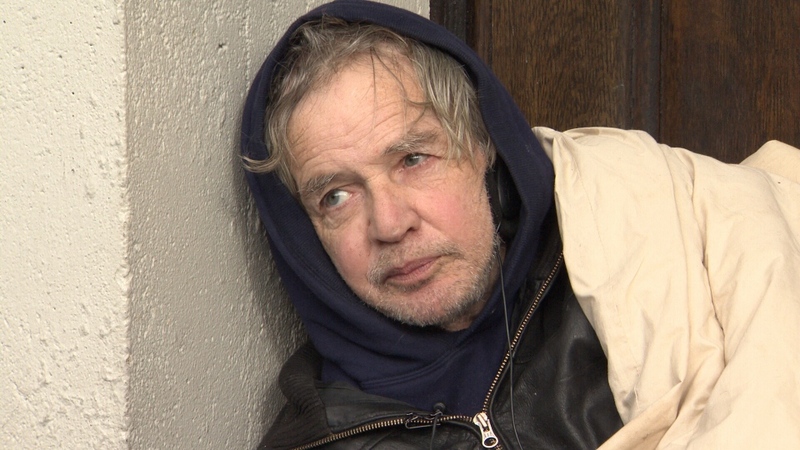 When temperatures dip below freezing he says he looks for space in a shelter if he can't crash with a friend. "Normally when it gets cold around here I find there are a number of place that the city opens up," he said. 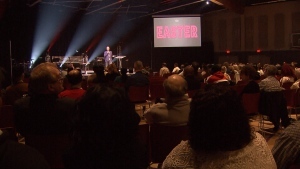 "Community centres, churches … that really helps." CTV News caught up with him while he conserving some warmth under a duvet in downtown Vancouver. He knows a place a few blocks from where he was sitting where he could get a mat, a blanket and a snack. The only catch is that he has to leave by 7 a.m. the next morning while it's still dark. "That's why I usually have a nap out here in the early afternoon," he said. On top of early wakeups, he said shelters come with additional challenges. "There's a lot of snoring, a lot of noise, a lot of coughing. A lot of viruses being spread around," he said. "If at all possible I'd much prefer the fresh air." Heroin and fentanyl also worry McIntyre during cold snaps like this. He said since one of the effects of opioids is warming the body, he worries more people may overdose trying to make it through a sub-zero night. "They call it your inside overcoat," he said. "They're just trying to warm themselves up." Overdose is far from the only risky warming strategy, though. Hunka said lighting a candle is a huge fire hazard. One woman in Chilliwack was critically injured when her tent caught fire in November. Hunka advised Metro Vancouverites who want to help to carry socks, gloves and toques to give to people they see on the street. He also recommended donating waterproof winter gear and giving money to organizations working to help people who are homeless. 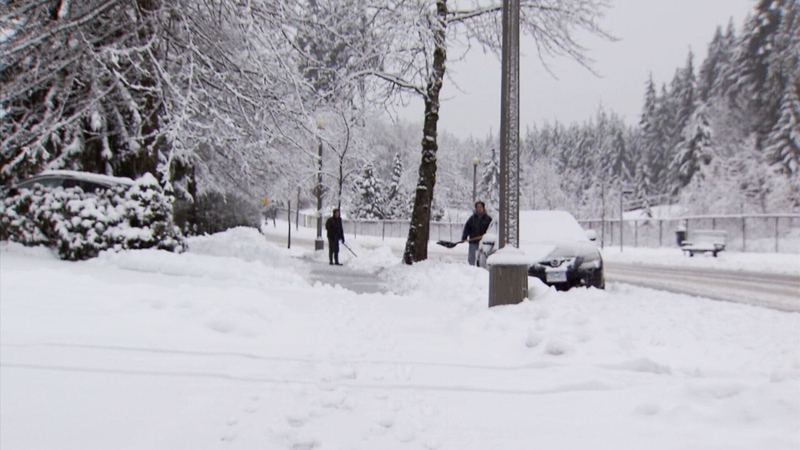 Coquitlam residents shovel snow on Feb. 17, 2018. Mike McIntyre, who is homeless, says if he can't crash with a friend he looks for a shelter space when temperatures dip below freezing.